Every Rainin XLS and XLS+ pipette is equipped with a tiny RFID chip that contains the pipette’s latest service data. 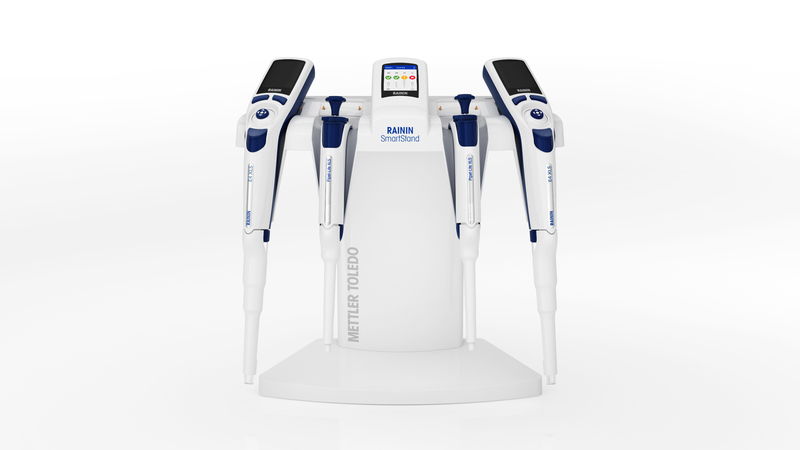 SmartStand not only uses that chip to show users the pipette’s current compliance status, but with the included EasyDirect software, transforms how labs manage their entire pipette inventory. Click here to enter to win 1 of 10 Rainin SmartStands! SmartStand displays the calibration and service status for each pipette in the stand, right at the bench. Know when the pipette’s next service is due. Charge up to four E4 electronic pipettes simultaneously. EasyDirect simplifies and streamlines how labs manage their entire pipette inventory.